The Romgi and I saw this Perry Mason episode quite a while before I read the book – how completely different! Even the titular “fiery fingers” refer to something else. 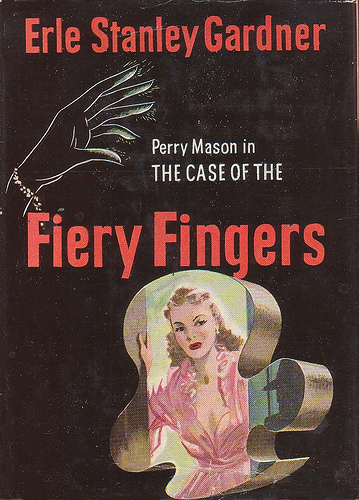 I absolutely loved reading this, my first Perry Mason book. More to come! Definitely recommended, if you can get your hands on some old copies!